When it comes to people who film and take photos of scooter riders, Aaron Hill is one of the most well known names. 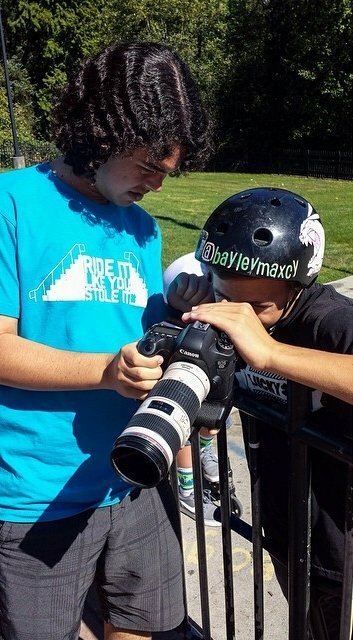 Living in California and always around talented riders, hes always capturing footage, filming and making top notch edits. He even recently flew out to Washington to film my edit! He's super talented and devoted to what he loves. Check out the interview below and see what life is like for Aaron Hill behind the lens! Bayley - To start us off can you tell us a little bit about yourself? Bayley - When did you first get into filmmaking and how did you get into it? Aaron - I’ve been filming since early 2011, so for over 3 years now. It's hard to believe it's been that long. I got into filming the sport by being a rider myself. My friends and I would ride around at our local skatepark, and as we progressed I started capturing our new tricks on my iPhone. I found I was spending more time filming than riding, because it was just more fun for me. Bayley - I know you film more than just scootering but would you say scootering is your favorite thing to film? Aaron - I would say so, it’s definitely what I would define as my comfort zone. Like most people, I like stepping out of my comfort zone to do different projects, but scootering is definitely my favorite. Creating new scootering videos is always exciting for me. Bayley - What was your first camera and how good was it? Aaron - Well, I started with an iPhone. I used that for a while, then I picked up a Sanyo Digital Camera with an Opteka fisheye. After a few months I picked up my first DSLR, a T3i! My first day shooting with it was mind blowing because of the versatility and the challenge of handling all the options available at my fingertips. It took me to a whole new level of filmmaking. Bayley - What’s in your camera bag now? 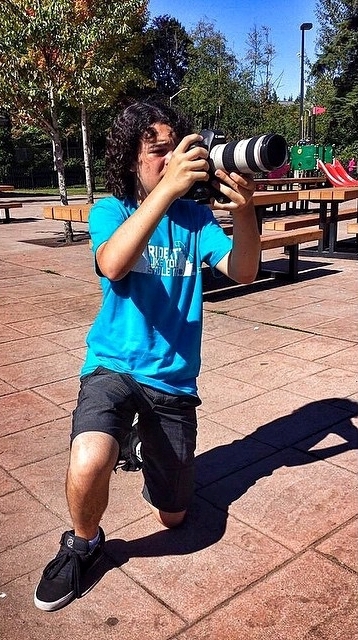 Aaron - I have a Canon 6D and 60D, with a few lenses. Canon 16-35 f/2.8, 24-70 f/2.8, 70-200 f/4, and a Sigma 15 f/2.8. Bayley - Do you prefer to shoot photos or videos? Aaron - I'll always love video more, but recently I've been getting into photography a lot more. When I’ve been working on videos for a week straight, it’s great to be able to take a break and shoot stills. My favorite part of it is having a finished product that is just simple to look at and absorb, compared to a video that's a longer experience. Bayley - What was it like working with Devin Super Tramp? Aaron - That was such an awesome experience! He was a really cool guy, and during the shoot Devin did a great job of getting everyone hyped up. Devin does great work, so I definitely look forward to the next opportunity I have to work with him. Another great thing was hearing from Devin that I was one of the best he had seen with the Glidecam. That compliment went along way for me! Bayley - What current projects are you working on? Aaron - Right now I have an edit of Bayley Maxcy to put together, and I’m also planning to do some filming with Cody Flom soon. You can also look out for an edit from Corey Funk and I in the future. On my channel, I have a fan favorite "Fails" video to put out, a gnarly edit of Nitro Circus skater Beaver Fleming, and my favorite of all, a Spiderman parkour edit! Hoping to get some major views on that one. Bayley - Can you tell me which edit you've filmed that you're most proud of? Aaron - This is always a hard question for me to answer, because I always feel like the most recent I drop is a step up from the previous one. But to target one older video, I’ll go with my video of Kota shredding throughout San Diego (Dakota "Kota" Schuetz is the title). Bayley - How did you think up the catchy Youtube name “DoubleAVideo”? Aaron - My Dad was the first one to call me that, and that was my nickname throughout baseball (I played for 9 years). My name is Aaron, spelled with two A's, so that's where it comes from! Bayley - What might we see from you in the future? Aaron - Hopefully some big stuff on YouTube! DoubleAVideo has recently partnered with The Whistle Sports Network, (one of their bigger partners being Dude Perfect) so you can definitely look for some big stuff in that realm. Bayley - Can you give some advice to aspiring filmmakers? Aaron - The question I get asked most often is how I got to film for the scooter companies I work with today. The way I got there was by first, building my own channel. I gained a little following and honed my skills, and from there it was just about making connections. The first step is being able to consistently produce content you’re proud of, cool stuff you want to show off and that people want to watch. From there you take that next step in sharing your skills. Bottom line, it takes work - I have spent several hundred hours researching equipment and techniques, talking with other videographers and photographers to develop my skills and then going out and practicing. Then countless hours working on editing techniques to produce a quality product. 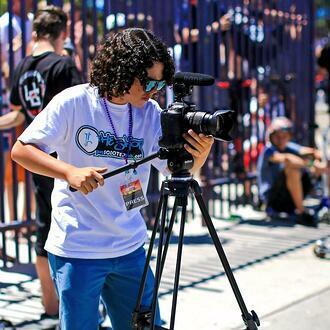 The time flew by because it’s what I love; it’s my passion so it doesn’t feel like work.